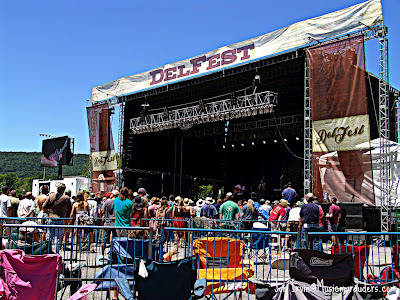 The beautiful and spacious Allegany County Fairgrounds opened their arms and gates yet again for the 6th annual DelFest Music Festival this past Memorial Day weekend. 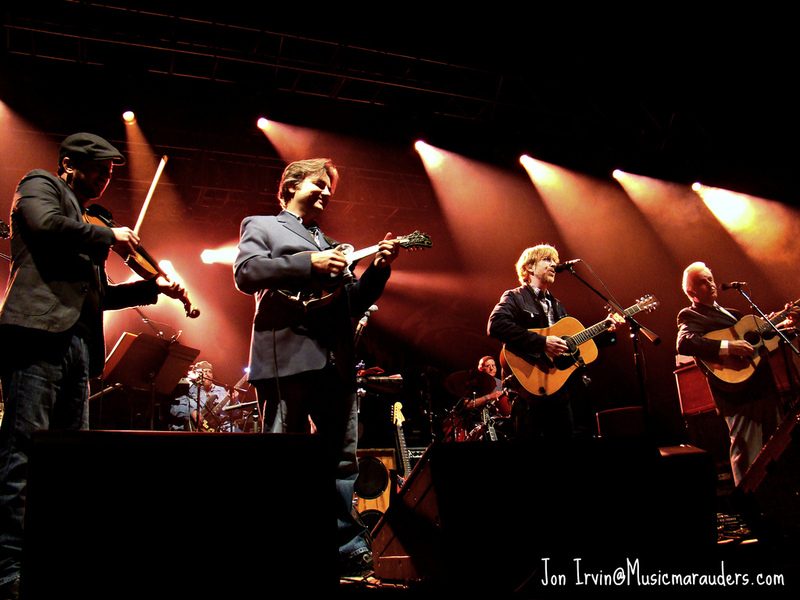 Deemed more of a family reunion than an annual bluegrass festival by host Del McCoury, returning bands and fans continue to reunite year after year. Thursday tends to be more of a laid back day with little music on the bill. The early arrivers were ushered in as campers scamper to find their perfect hideaway for the weekend while festival staffers scurry to finalize last minute preparations. We pulled into the off-site box office to receive our credentials to only be notified that our usual Friends & Family passes were upgraded to the DELuxe accommodations. Not a bad way to start the weekend. 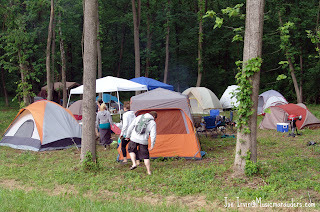 We found our way past the baseball fields and began to set up camp; we needed a large area for our group of two would turn into a dozen dancing and drinking fools by Friday evening. As tents were being raised, the sounds of the Del McCoury band could be heard in the distance kicking off a weekend of amazing music with their annual soundcheck. After the last bags were unpacked and the final EZ-UP erected it was time to finally venture down to see some music. 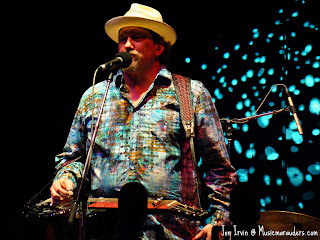 I got down to the grandstand just in time to see the master of the resonator, Mr. Jerry Douglas. Now I’ve had the luxury of seeing him before, playing with Allison Krauss, but this was the first time I had seen him in his own element. Douglas backed by a multi-talented group of musicians including Viktor Krauss (bass), Omar Hakim (drums), and Luke Bulla (violin) treated the early bird crowd to a surprisingly funky sound. 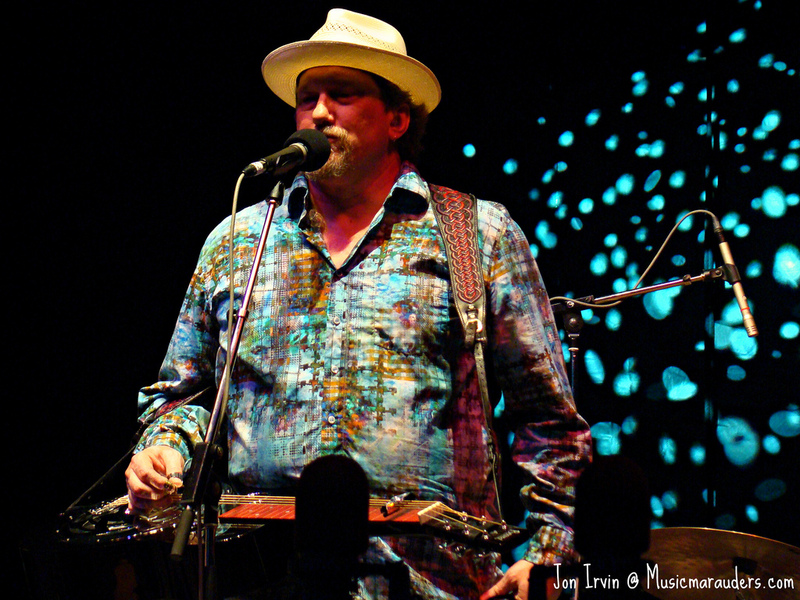 Douglas and his band would set the tone for what DelFest is praised for, different styles of bluegrass and random Del McCoury appearances. Leftover Salmon closed the opening day activities with a rockin set that could be heard all the way to the far boundaries of the campground. Dawn broke and with it came the remaining caravan of the record setting attendees that Friday’s headliner, Trey Anastasio, surely brought. The day also brought with it fear of the annual DELfest storm, the forecast seemed to be spot on; cold, windy, and rainy. This was the third DelFest I have attended and the previous two had its fair share of torrential downpours and violent winds. 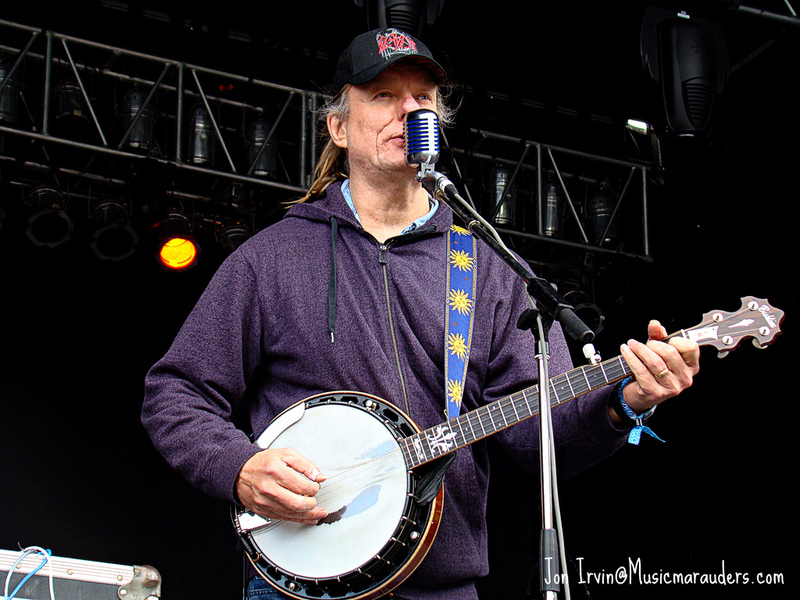 I took an early trip down to see master banjoist Danny Barnes kick off the action on day two. While wearing a hoodie and sporting a Slayer hat Barnes, a long time friend of Yonder Mountain String Band, amazed the crowd during his short set that included personal favorite “Caveman”. At the conclusion of the opening set I took time to walk around the fairgrounds and take in the numerous upgrades the facility had made over the past year. The two main changes I noticed were the improvement of the shower and bathroom amenities as well as the addition of stones in the main fairground. One of the biggest obstacles in the past was dealing with the mud. Layers of straw and hay can only go so far and I was glad to see that tons of stone were dumped on the walkway leading up the music meadow as well as in front of the stage. High fives all around for whomever came up with this solution. 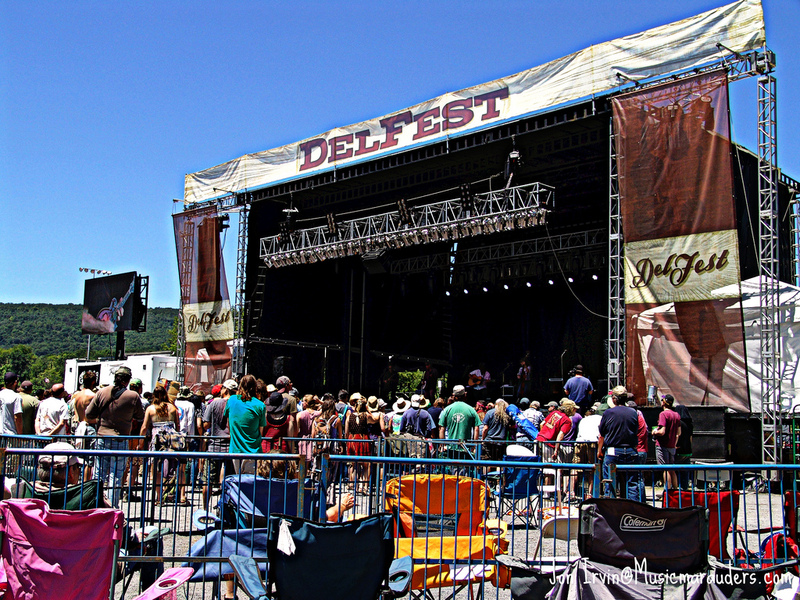 One great thing about DelFest is the fact that most bands play two sets throughout the weekend. This allows fans to be selective when choosing who to see without missing out on any action. I tend to take it easy of the first two days so I can save some stamina for the usually jam packed Saturday and Sunday. 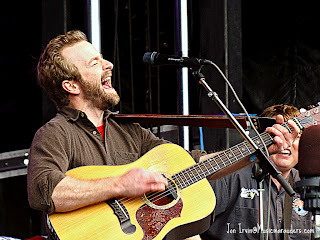 Next on my list of must see acts, acoustic grass band Trampled by Turtles. TBT has that easy feeling, folk rock sound to them that promotes your typical crowd sing-alongs especially with their hit “Wait So Long”. I have always been a fan of this group and consider them included in the same circle as recent billboard toppers Avett Brothers and Mumford & Sons. Friday evening ended with arguably the biggest draw of the weekend, quite possibly even in the six year history of DelFest, Phish lead singer Trey Anastasio. As excited as I was to see the Trey Anastasio Band on this year’s lineup, I was also worried to see how he would fit into a predominantly bluegrass festival. I felt that for the most part TAB brought a nice change of pace and a breath of fresh air to the evening. TAB kept the record setting crowd dancing during their three hour plus set that included Trey originals (“Valentine”), Phish classics (‘”Gotta Jibbo” and “First Tube”) as well as covers that included Gorillaz hit “Clint Eastwood” and encoring with Led Zeppelin’s “Black Dog”. The evening wouldn’t be complete without Del McCoury and the boys gracing the stage once again to relive some past magic from the Oswego festival sitting in on both “I’m Blue, I’m Lonesome” and “Beauty of My Dreams”. The first two days had come and gone in a blink of an eye. I went to bed praying for better weather because the weekend would be no doubt jam packed with can’t miss action.